Show Notes | Knitting Go! March-Tober socks. Plain socks in Desert Vista Dyeworks’ Zombody Go Bragh. Vintage Prim Hat, in the same yarn as the mitts from last week. Mystery yarn. Possibly ZYG Serenity 20, maybe the Vixen colour way. Little Ice Age Socks pattern by Rachel Coopey. The yarn is LIberty’s Yarn Jabbersocky, with scraps from previous projects, my Colour Affection, and my September Circle. The quilt – my sewing machine broke! I was going to finish the quilting, but the sewing machine wouldn’t go. It is in the shop right now. I’ve been digging through the stash, trying to pack for 5 weeks away from home! This entry was posted in Show Notes on March 19, 2016 by rycrafty. Kindle sock – for my husband’s Kindle. Knit over 72 stitches from leftover Lead Men Fiber Arts Showcase in Foliage. The sweater that this is leftovers of was the Sunnyside Sweater. See the sweater in Episode 23! Skew Socks in Must Stash Yarn Ritz Sock in ‘Anna & Elsa’. My first pair years ago were a bust, but these fit great! Seeded Fingerless Mitts in mystery yarn. Possibly ZYG Serenity 20, maybe the Vixen colour way. Downton Abbey quilt top is done! The back is done! I’ve bought batting! Now to pin it and quilt it! The fabric is by Andover fabrics, and I bought it at My Sewing Room last year. The pattern is the Nine-Patch Lattice that was on the Oh Fransson! blog, but seems to have been taken down. EDIT: I found a link to the PDF here. 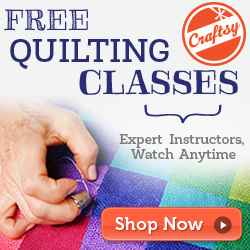 The Craftsy class was Start Machine Quilting. Hands on Design cross stitch pincushion pattern. This entry was posted in Show Notes on February 22, 2016 by rycrafty. I bought the fabric, and zipper jewellery pattern from from Out of Hand. The zip patterns are by Indygo Junction. This entry was posted in Show Notes on January 26, 2016 by rycrafty. Plain 3×1 rib socks out of Knit Picks Felici in the Time Traveller Colourway. Sewn cherry pit warming bag. Said goodbye to my first Monkey Socks from 2007. Centripetal Sweater out of Imperial Yarn Columbia on a 6mm / US 10. I have 6 main body repeats done. Episode 49 is when I destroyed the sweater. Episode 27 is when it was a previous FO. Six’es blanket – I started this year with 35 hexagons. I’ve knit 2 so far this year. Knit 52 hexagons this year. Sew and knit from the stash – this includes patterns as well! This entry was posted in Show Notes on January 8, 2016 by rycrafty. Easy Peasy Baby Hats x3 out of leftovers from various socks: Desert Vista Dyeworks, Yarn vs. Zombies, and Fibernymph Dyeworks. Plain socks out of Fibernymph Dyeworks Bedazzled in ‘Soft Kitty’. Cardinia Wrap using Sokkusu Original from the 2012 Cookie A Sock Club (colourway: River Styx), Aspen Sock from Western Sky Knits, and the third colour is “New Friends and Happy Tears” on Strong Sock by Another Crafty Girl. Two pairs Margot PJ pants for the husband, out of fleece and flannel from Fabricland. Plain 3×1 rib socks out of Knit Picks Felici in the Time Traveller Colourway. Bag by Sewn By Lindsay. Centripetal Sweater – swatched with Imperial Yarn Columbia on a 6mm/US 10. Episode 27 is when it was an FO. Six’es blanket – Not worked on, but hopefully I will soon! Have a look at #GetYourYarnWishesGranted on Instagram, and see what you can do for someone! My amazing bracelet is from AFK Designs by ArthurFred. There are more in the shop that are just gorgeous! My shirt is the Renfrew pattern, sewn up in fabric from Girl Charlee. Gingerbread Trifle – with gingerbread cake, pumpkin cream, and pomegranate/cranberry sauce. Rugelach Cookies from Smitten Kitchen – it doesn’t matter what holiday you celebrate, you need these this month. This entry was posted in Show Notes on December 17, 2015 by rycrafty. Jaywalker Socks out of Opal in the Lamplighter (7760) Little Prince colourway. Must Stash Yarns in ‘Elsa & Anna’ and ‘Everything Is Awesome’. Deceptions, by Kelley Armstrong. Cainsville novel #3. This entry was posted in Show Notes on November 2, 2015 by rycrafty. Plain vanilla socks in Vesper yarns Witchy Woman. Tiramisu Dress by Cake Patterns, with jersey I bought at Gala Fabrics in Victoria. Sherlock Holmes bag from CreativeMoJo, auntiejo’s Etsy shop! I was right about which story – The Adventure of Three Garridebs, which is in The Case-Book of Sherlock Holmes. It was worth a wound — it was worth many wounds — to know the depth of loyalty and love which lay behind that cold mask. The clear, hard eyes were dimmed for a moment, and the firm lips were shaking. For the one and only time I caught a glimpse of a great heart as well as of a great brain. All my years of humble but single-minded service culminated in that moment of revelation. Lovely bag from Sewn By Lindsay, bought at Knit City. Fibernymph Dyeworks Bedazzled Base in “Soft Kitty” will be my “October” socks. This entry was posted in Show Notes on October 19, 2015 by rycrafty. Plain vanilla sock in Vesper yarns Witchy Woman. From Gala Fabrics in Victoria, BC. I’m going to use the stripe for this top from Burda Style, and possibly make the Tiramisu Dress out of the green. Here’s the thread in our group for chatting about getting fit! Here’s a Pinterest board I’m using to keep track of things I find. This entry was posted in Show Notes on September 9, 2015 by rycrafty. I recorded today’s episode at Fibrations Victoria, in Fairfield Community park. I bought yarn from Caterpillar Green – Concrete & Tulips in shawl-striping skeins, and Skyline in a traditional striping skein. I also bought two skeins of Cash-a-Rino in Electric Eyeshadow from JOMA yarn. You saw clips of Freedom Kilts, Flax to Linen Victoria, and the general marketplace! AAAND the big exciting thing at the very end of the show is happening at Pudding Yarn on September 21! This entry was posted in Show Notes on August 20, 2015 by rycrafty. The dress I mentioned sewing is the Southport Dress by True Bias. The series I’m so into right now starts with Written in Red, written by Anne Bishop. We hiked to the Plain of Six Glaciers Teahouse, which is listed as Moderate: 5.3 km one way; 365 m elevation gain; 4 hour round trip, and then added on a side trip to Abbot Pass Viewpoint: 1.5 km one way; 50 m elevation gain. As the name suggests, the hike to the Plain of Six Glaciers Tea House offers incredible views of the glaciers and mountains that surround Lake Louise. Built by the Canadian Pacific Railway between 1924 and 1927, this tea house was originally constructed to house mountaineers en route to the popular objectives of Mts. Victoria and Lefroy. Hikers today can enjoy a wonderful menu of fresh lemonade, tea, pie, scones and more. This entry was posted in Show Notes on August 11, 2015 by rycrafty. Enter your email address to receive an email when new things are posted! GirlCharlee is an online fabric store that specializes in knit fabrics, for yummy t-shirts and sweaters! It has been 6 months, 1 days, 5 hours since my last yarn/fibre purchase.